This article was originally published on my blog in September of 2009. The following story is widely circulated on the Internet. I have no idea who wrote it and I hope the author does not mind if I take the liberty to use it here in this post. A Dog’s Purpose, from a 4-year-old…Being a veterinarian, I had been called to examine a ten-year-old Irish Wolfhound named Belker. The dog’s owners, Ron, his wife, Lisa, and their little boy, Shane, were all very attached to Belker, and they were hoping for a miracle. As we made arrangements, Ron and Lisa told me they thought it would be good for four-year-old Shane to observe the procedure. They felt as though Shane might learn something from the experience. (Robert Forto) I received this story from a colleague the other day and thought I had to share it. While I will always give credit where credit is due, I do not know who wrote this article so I am posting it anonymously. If you do know who wrote it please have them contact me directly at train@denverdogworks.com. I struggle with this the context of the story every day. 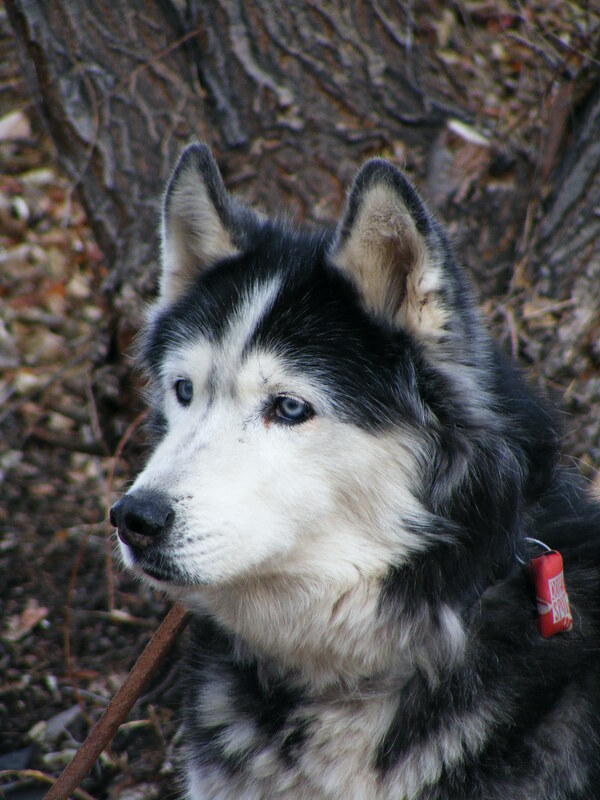 My old dog and my best friend is a 12 year old Siberian Husky named Ineka. It is supposed to mean “rescued friend” in a Northern Canadian language. Anyhow, Ineka has been through thick and thin with not only me, but my family, since we adopted him from a Washington shelter in 2000. They told us he was four at the time but I checked the wear patterns on his teeth and he was closer to two. I have talked about Ineka a lot over the years in my articles, in my blog posts, and in my canine trainers classes at Denver Dog Works. I even dedicated my doctorate dissertation to him- Chasing the Dream: The History of Human-Canine Communication in the Sport of Dog Sledding (Forto 2005). I will be sad when his time comes to pass over the rainbow bridge. Who am I kidding, it will devastate me for a long while. But I will pull through and his legacy and what he taught me will live on. As the young boy says in the story, dogs already know how to live the good life, like loving everybody all the time so they don’t have to stay long. Ineka, well all dogs for that matter, share a special place in most people’s hearts don’t they? They are just the right fix when something is wrong, just the right size to hug when you are feeling blue, listen just long enough when you have a secret, have just enough energy to finish that hike, just enough strength to pull you through the day, just enough courage to keep you motivated, just enough tail wags to make you smile, just enough wisdom to teach the new pup the rules, and just enough love to keep you sane in the worst of time. So I encourage all of you to get out and do something with your dog today, everyday for the matter. Dogs were put on this earth to teach us something about ourselves. Is that a way to learn or what? Update: As many of you know our dear friend, Ineka, passed over the Rainbow Bridge on July 13, 2010. I re-read this story from my blog and thought I should re-post it. I don’t know how most of you feel about the passing of a beloved pet, but it is one of the hardest things I have ever went through. It just seems different when a pet passes compared to a person. I do’nt know why. Maybe its because pets show us such unconditional love. Maybe its because we are allowed to make the decision when it is time for them to go. Maybe it is because they can not tell us its time or they hurt or they simply can not continue. I have had many pets over the years. They were all special. But none quite like Ineka. He was my inspiration for everything I do with dogs and in the worst of times he was my strength. Some say, he was just a dog. Hardly, my friends, hardly–Ineka was my Dreamchaser.